Even though you are meant to be all practical with your winter accessories, in my eyes that doesn’t have to mean boring, so being the girly girl that I am if it has bows and gems on it then it is so meant for me and these gloves which I bought from New Look and this Accessorize beret help me beat the cold in style. Also, nothing is more warming than a blanket scarf and I use this one from Aldo more as a blanket than anything else. It’s so soft I can’t get enough of it. 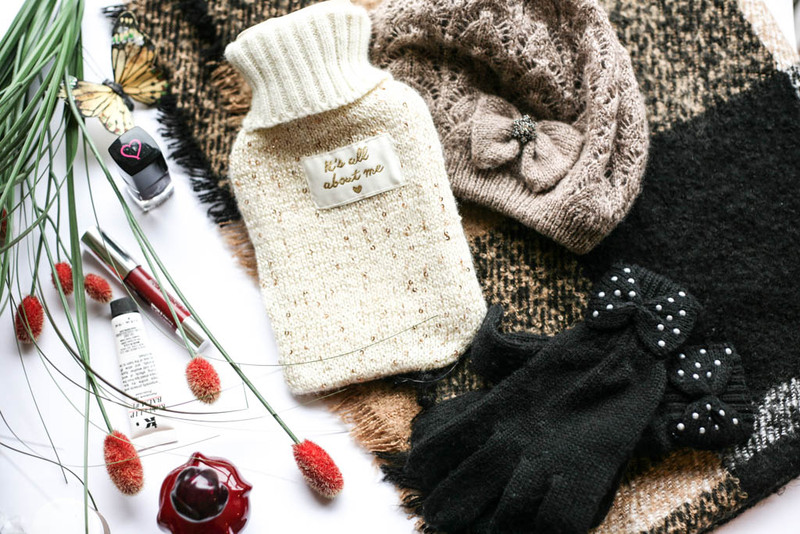 Of course for me winter would not be complete without a hot water bottle. Yes a hot water bottle, and this teeny one I picked up from Sainsbury is super cute and I’m loving the slogan “It’s all about me…”! When it comes to makeup and beauty I love a warming perfume something like those mentioned in my party perfumes post here or Dior’s Hypnotic Poison. This is a bold scent with notes of bitter almond, sambac jasmine, vanilla and musk. It epitomizes winter in my opinion and is the kind of scent that will linger for ages….perfect for spraying on your scarf. A darker shade on the nails is something I tend to reserve solely for this time of the year. I like those vampy colours that verge on black but not quite black, something like Tanya Burr’s Nail Polish in New York Night pictured above. 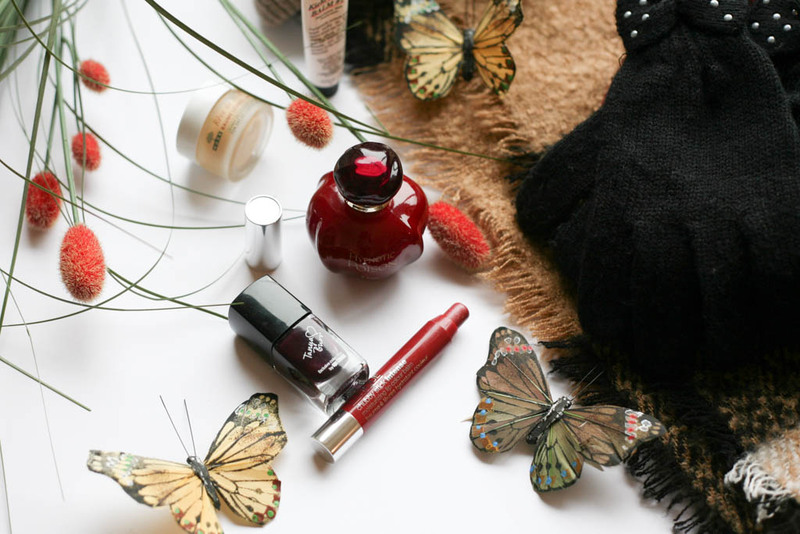 When it comes to lips I love a good red lip but for something a bit deeper Clinique’s Chubby Stick Intense Moisturising Lip Colour Balm in Chunkiest Chilli is a brown red which warms up my complexion. 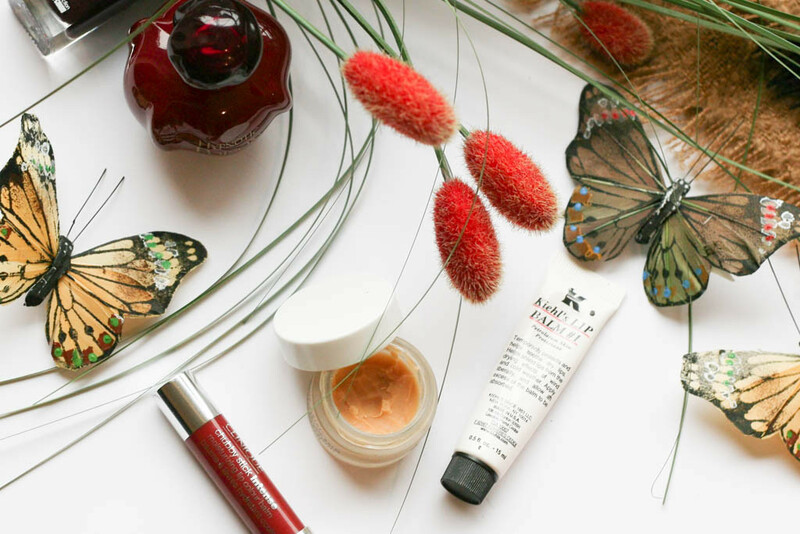 With dry chapped lips always appearing during winter I like to have some trust worthy lip balms to hand and my favourites are Kiehl’s Lip Balm and the cult classic Nexe Reve De Miel Lip Balm, both of which are very moisturising. 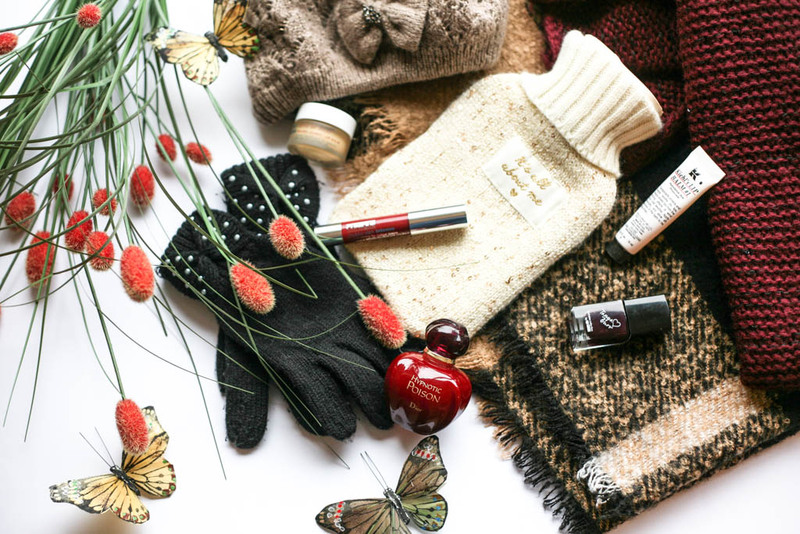 My other essentials for winter? Well, a good book, reading blog posts or catching up with some of my TV Box Sets is a must and at the moment I am really into Scandal. I think I am late to join the party as usual but this show is just the best amongst, Arrow, Gossip Girl, Made In Chelsea and the like…..did I tell you I am a bit of a home buddy?